You’ve had a long day and nothing — like, nothing — sounds better than falling into bed and getting a really great night of sleep. You’ve worked off your excess energy with a post-dinner walk. It’s been hours since you indulged in caffeine. You took a hot shower. You skipped that second glass of wine because you heard something about the sugar being bad for sleep patterns. Heck — you snoozed for almost an hour on the couch while you were trying to catch up on the last few episodes of The Bachelorette. Sounds like you’ve set the stage for some blissful rest. Sometimes, it doesn’t actually work out that way, though. Instead, you settle into bed (genuinely exhausted!) and find yourself struggling with sleep. Maybe you fall asleep immediately and wake up periodically throughout the night. Or maybe the tossing and turning goes on for hours. Even if you aren’t officially an insomniac, you might find yourself dealing with sleep issues like this way more than you would like. 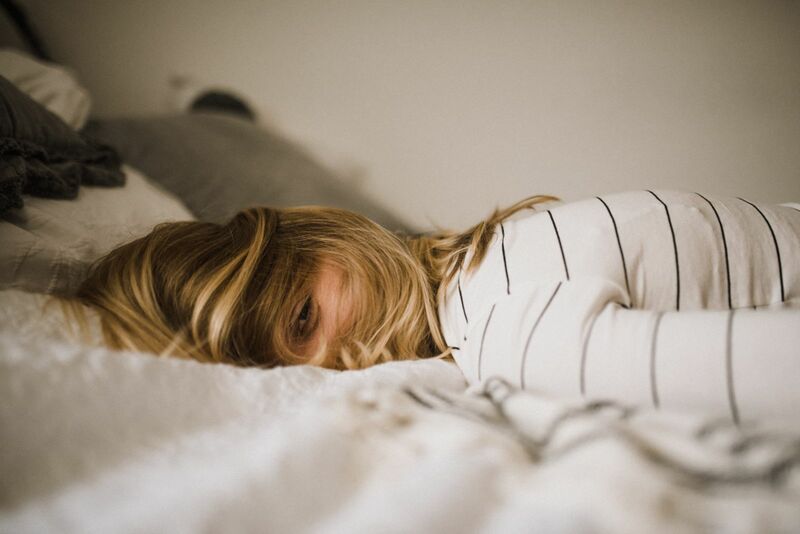 Life is stressful and all of us have crazy schedules — but you shouldn’t have to settle for a life of #nosleep… or a life in which you’re forced to rely on sleep medication to get the rest your mind and body so badly deserves. But don’t give up hope yet. Yoga might be your solution. That’s right — in addition to all of its other benefits, yoga has been proven to help manage sleep issues. Keep scrolling for more details. Harvard Medical School researchers say it’s so. According to Psychology Today, a team at Harvard Medical School ran a study in 2012 about the connection between sleep and a regular yoga practice. What did they discover? The investigation revealed that, over the course of an eight-week period, insomniacs who participated in yoga on a daily basis experienced improvement in sleep efficiency, total sleep time, total wake time, sleep onset latency (AKA the length of time it takes to fall asleep), and wake time after sleep onset. This all sounds promising — plus, we’ll basically trust anything that comes out of Harvard Medical School. Yoga can help build a consistent routine. In a piece for DoYouYoga, Kayla Kurin shares her personal story of overcoming sleep issues through yoga. 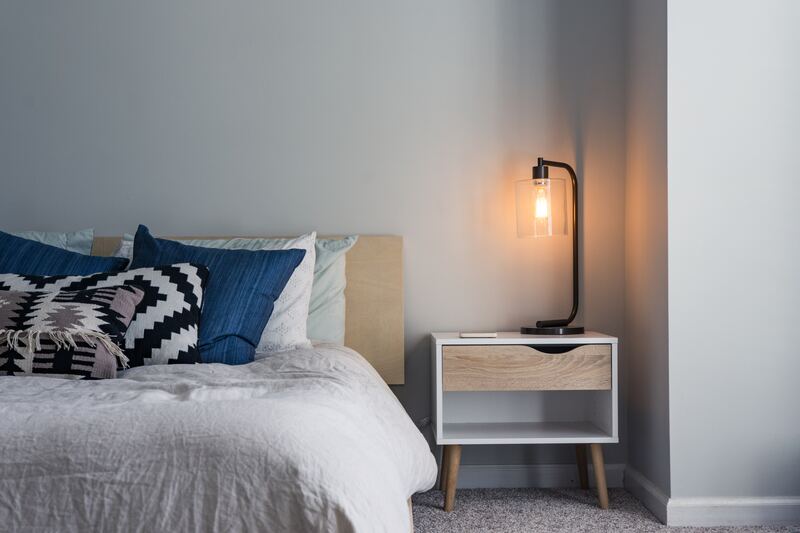 She credits the improvement to her sleep patterns — at least in part — to the fact that a regular practice can help you establish a higher level of consistency in your daily life. “Yoga helped me create a routine and learn sleep practices that actually worked for me,” she writes. “Since yoga encourages you to experiment and listen to your body, I was able to find something that worked for me — including taking a shower and doing a gentle yoga practice (but I still often watch TV before bed! Comedy shows can help me relieve stress and wind down for the night).” See? You might not have to give up The Tonight Show, after all! Yoga helps your nervous system become more regulated. Per Kurin’s article, insomniacs suffer from hyperarousal, which is basically a heightened sense of “fight or flight” that can carry over into the late, late hours of the evening. Your nervous system stays awake long after your body tells it to go to sleep! Yoga is known to help people return to a more regulated state, which is bound to temper those intense feelings of fight or flight and allow you to drift peacefully into rest. Yoga reduces stress. Anxiety and stress are often the culprits behind sleep disorders. It’s no secret that yoga eases stress, and according to Elite Daily, this can really benefit your sleep patterns. Yoga helps reduce the levels of cortisol — known as the “stress hormone” — lurking in your brain. And that should definitely help you sleep better! How else do you beat insomnia? Tell us on Facebook + Twitter!